The exact date of Andrew's birth is unknown. According to historians Tibor Almási, Gyula Kristó, and Attila Zsoldos, he was born in about 1265. 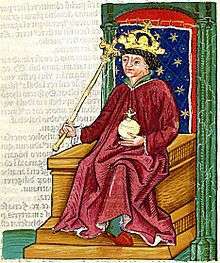 Stephen the Posthumous nominated his wife's two kinsmen, including her brother Alberto Morosini, as Andrew's guardians before his death in 1272. Upon Andrew's arrival, his opponents tried to bribe Theodor, Prior of the Székesfehérvár Chapter, not to hand over the Holy Crown of Hungary to the soon-to-be-king, but the prior refused them. Archbishop Lodomer crowned Andrew king in Székesfehérvár on 23 July. The lords and prelates swore loyalty to Andrew only after he issued a charter promising the restoration of internal peace and respect for the privileges of the nobility and the clergymen. He then appointed the most powerful noblemen, who had for years administered their domains independently of the monarch, to the highest offices. Amadeus Aba, who dominated the northeastern parts of the kingdom, was made palatine, Ivan Kőszegi, the lord of the western parts of Transdanubia, became master of the treasury, and Roland Borsa remained the voivode of Transylvania. Andrew held a diet before 1 September. To put an end to anarchy, the "prelates, barons and noblemen" ordered the destruction of castles which had been erected without royal permission and the restoration of estates that had been unlawfully seized to their rightful owners. Andrew promised that he would hold a diet each year during his reign. 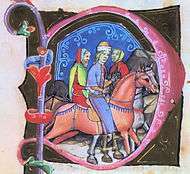 Andrew married Fenenna, the daughter of Ziemomysł of Kuyavia, before the end of 1290. Andrew then held a general assembly for the barons and the noblemen of five counties to the east of the river Tisza—Bihar, Kraszna, Szabolcs, Szatmár, and Szolnok—at Nagyvárad (now Oradea in Romania) in early 1291. The assembly outlawed Stephen Balogsemjén, a staunch supporter of the late Ladislaus IV, for major trespass. From the assembly, Andrew went to Gyulafehérvár (now Alba Iulia in Romania). Here he issued the decrees of his 1290 diet at the assembly of the local noblemen, Saxons, Székelys and Romanians, in February or March. Around the same time, Andrew dismissed Amadeus Aba and made Iván Kőszegi palatine. Ladislaus IV's sister Mary, wife of Charles II of Naples, announced her claim to the throne in April 1291. The Babonići, Frankopans, Šubići, and other leading Croatian and Slavonian noble families accepted her as the lawful monarch. Andrew's main concern, however, was Albert of Austria's claim. He invaded Austria, forcing Albert to withdraw his garrisons from the towns and fortresses—including Pressburg (now Bratislava in Slovakia) and Sopron—that he had captured years before, many of which were held by the Kőszegis before their conquest. The Peace of Hainburg, which concluded the war, was signed on 26 August, and three days later Andrew and Albert of Austria confirmed it at their meeting in Köpcsény (now Kopčany in Slovakia). The peace treaty prescribed the destruction of the fortresses that Albert of Austria had seized from the Kőszegis. 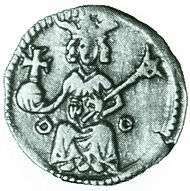 The Kőszegis rose up in open rebellion against Andrew in spring 1292, acknowledging Mary's son, Charles Martel, as King of Hungary. The royal troops subdued the rebellion by July, but the Kőszegis captured and imprisoned Andrew during his journey to Slavonia in August. Andrew was liberated within four months, after his supporters sent their relatives as hostages to the Kőszegis. Upon Andrew's request, his mother, Tomasina, moved to Hungary in 1293. Andrew appointed her to administer Croatia, Dalmatia, and Slavonia. Due to her activities, the Babonići, Šubići, and the Dalmatian towns, acknowledged Andrew's rule. Andrew visited the northern parts of Hungary and ordered the revision of former land grants in February. After his return to Buda, he again made Amadeus Aba palatine. In August, Andrew arranged a marriage between his niece, Constance Morosini, and Vladislav, son of Stefan Dragutin of Serbia, who had earlier acknowledged Charles Martel's claim to Hungary. Roland Borsa besieged and captured Benedict, Bishop of Várad's fortress at Fenes (now Finiș in Romania) on 23 May 1294. Andrew held a general assembly and outlawed Borsa. According to historian Attila Zsoldos, he made Nicholas Kőszegi palatine on this occasion. Andrew laid siege to Borsa's fort at Adorján (now Adrian in Romania). The siege lasted three months before the fort fell to Andrew in October. Andrew replaced Roland Borsa with Ladislaus III Kán as voivode of Transylvania, but the former preserved all his domains in the lands east of the Tisza. Andrew held an assembly of the prelates, noblemen, Saxons, Székelys, and Cumans in Pest in the summer of 1298. The preamble to the decrees that were passed at the diet mentioned "the laxity of the lord king". The decrees authorized Andrew to destroy forts built without permission and ordered the punishment of those who had seized landed property with force, but also threatened Andrew with excommunication if he did not apply the decrees. At the gathering, he appointed his uncle, Albertino Morosini, Duke of Slavonia. After the close of the diet, Andrew entered into a formal alliance with five influential noblemen, including Amadeus Aba, who stated that they were willing to support him against the Pope and the bishops. Gregory Bicskei, the Archbishop-elect and Apostolic Administrator of Esztergom, forbade the prelates to participate at a new diet which was held in 1299. The prelates ignored the archbishop's order and Andrew deprived him of Esztergom County. 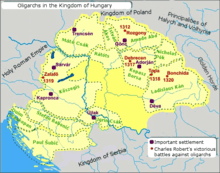 A group of powerful lords—including the Šubići, Kőszegis and Csáks—urged Charles IΙ of Naples to send his grandson, the 12-year-old Charles Robert, to Hungary in order to become king. The young Charles Robert disembarked in Split in August 1300. Most Croatian and Slavonian lords and all Dalmatian towns but Trogir recognized him as king before he marched to Zagreb. The Kőszegis and Matthew Csák, however, were shortly reconciled with Andrew, preventing Charles' success. Andrew's envoy to the Holy See noted that Pope Boniface VIII did not support Charles Robert's adventure, either. Andrew, who had been in poor health for a while, was planning to capture his opponent, but he died in Buda Castle on 14 January 1301. According to historians Attila Zsoldos and Gyula Kristó, the contemporaneous gossip suggesting that Andrew was poisoned cannot be proved. Andrew's first wife, Fenenna of Kuyavia, gave birth to a daughter, Elizabeth, in 1291 or 1292, but died in 1295. Elizabeth became engaged to Wenceslaus, the heir to Wenceslaus II of Bohemia, in 1298, but the betrothal was broken in 1305. She joined the Dominican convent at Töss where she died a nun on 5 May 1338. She is now venerated as Blessed Elizabeth of Töss. Andrew's second wife, Agnes of Austria, was born in 1280. She survived her husband, but did not marry again; she died in the Königsfelden Monastery of the Poor Clares in 1364. ↑ Kristó & Makk 1996, p. 282, Appendix 4. ↑ Zsoldos 2003, p. 282. 1 2 3 4 Kristó & Makk 1996, p. 282. ↑ Zsoldos 2003, p. 123. ↑ Zsoldos 2003, pp. 124–125. 1 2 Zsoldos 2003, p. 124. 1 2 Almási 2012, p. 100. 1 2 3 Kristó & Makk 1996, p. 283. ↑ Zsoldos 2003, p. 125. 1 2 3 4 5 Érszegi & Solymosi 1981, p. 173. ↑ Zsoldos 2003, p. 135. ↑ Berend, Urbańczyk & Wiszewski 2013, p. 473. 1 2 3 4 5 6 Érszegi & Solymosi 1981, p. 181. 1 2 3 Zsoldos 2003, p. 136. 1 2 3 4 5 Engel 2001, p. 110. 1 2 Bartl et al. 2002, p. 34. ↑ Bartl et al. 2002, p. 23. 1 2 3 Kontler 1999, p. 84. ↑ Zsoldos 2003, pp. 147–148. ↑ Zsoldos 2003, pp. 143–144, 147–148. 1 2 3 Zsoldos 2003, p. 134. ↑ Zsoldos 2003, p. 163. 1 2 3 4 5 6 7 8 9 Érszegi & Solymosi 1981, p. 182. ↑ Kristó & Makk 1996, p. 286, Appendix 4. 1 2 Zsoldos 2003, pp. 164–165. 1 2 3 4 Sălăgean 2005, p. 241. ↑ Zsoldos 2003, p. 169. 1 2 Magaš 2007, p. 59. ↑ Fine 1994, p. 207. ↑ Zsoldos 2003, pp. 170–171. ↑ Zsoldos 2003, p. 173. ↑ Zsoldos 2003, p. 177. 1 2 3 4 5 Érszegi & Solymosi 1981, p. 183. 1 2 3 4 Zsoldos 2003, p. 183. ↑ Fine 1994, pp. 207–208. 1 2 3 Zsoldos 2003, p. 187. 1 2 3 4 5 Érszegi & Solymosi 1981, p. 184. 1 2 3 4 Zsoldos 2003, p. 188. 1 2 Fine 1994, p. 208. 1 2 3 4 5 6 Zsoldos 2003, p. 198. ↑ Zsoldos 2003, p. 203. ↑ Zsoldos 2003, p. 204. ↑ Érszegi & Solymosi 1981, p. 185. ↑ Sălăgean 2005, pp. 242–241. 1 2 Zsoldos 2003, p. 206. ↑ Zsoldos 2003, p. 207. 1 2 Érszegi & Solymosi 1981, p. 186. ↑ Zsoldos 2003, pp. 211, 213. 1 2 Zsoldos 2003, p. 214. ↑ Érszegi & Solymosi 1981, pp. 186–187. ↑ Zsoldos 2003, pp. 218–219. ↑ Fine 1994, pp. 208–209. 1 2 Zsoldos 2003, p. 220. ↑ Zsoldos 2003, pp. 220–221. ↑ Érszegi & Solymosi 1981, p. 187. 1 2 Zsoldos 2003, p. 221. ↑ Kristó & Makk 1996, pp. 287–288. ↑ Engel 2001, p. 124. ↑ Kristó & Makk 1996, p. 288. ↑ Engel 2001, pp. 128–130. ↑ Kontler 1999, pp. 87–88. ↑ Engel 2001, pp. 130–134. ↑ Kristó & Makk 1996, p. 282, Appendices 3–4. ↑ Zsoldos 2003, pp. 121–125. ↑ Runciman 1989, p. 345, Appendix III. ↑ Chiappini 2001, pp. 31–32, 45. ↑ Kristó & Makk 1996, pp. 286–287, Appendix 4. ↑ Kristó & Makk 1996, p. 287. ↑ Klaniczay 2002, p. 207. 1 2 Kristó & Makk 1996, p. 287, Appendix 4. 1 2 Klaniczay 2002, p. 208. ↑ Klaniczay 2002, pp. 207–208. ↑ Kristó & Makk 1996, p. 286. Almási, Tibor (2012). "III. András". In Gujdár, Noémi; Szatmáry, Nóra. Magyar királyok nagykönyve: Uralkodóink, kormányzóink és az erdélyi fejedelmek életének és tetteinek képes története [Encyclopedia of the Kings of Hungary: An Illustrated History of the Life and Deeds of Our Monarchs, Regents and the Princes of Transylvania] (in Hungarian). Reader's Digest. pp. 100–101. ISBN 978-963-289-214-6. Zsoldos, Attila (2003). "III. András". In Szovák, Kornél; Szentpéteri, József; Szakács, Margit. Szent István és III. András [Saint Stephen and Andrew III] (in Hungarian). Kossuth Kiadó. pp. 119–227. ISBN 963-09-4461-8.